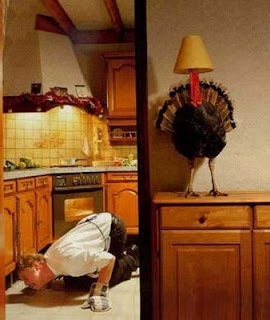 This turkey doesnt want to become dinner does he? What better way to hide than by putting a lamp shade on your head. Better to be sitting down to thanksgiving or christmas dinner rather than being dinner itself.